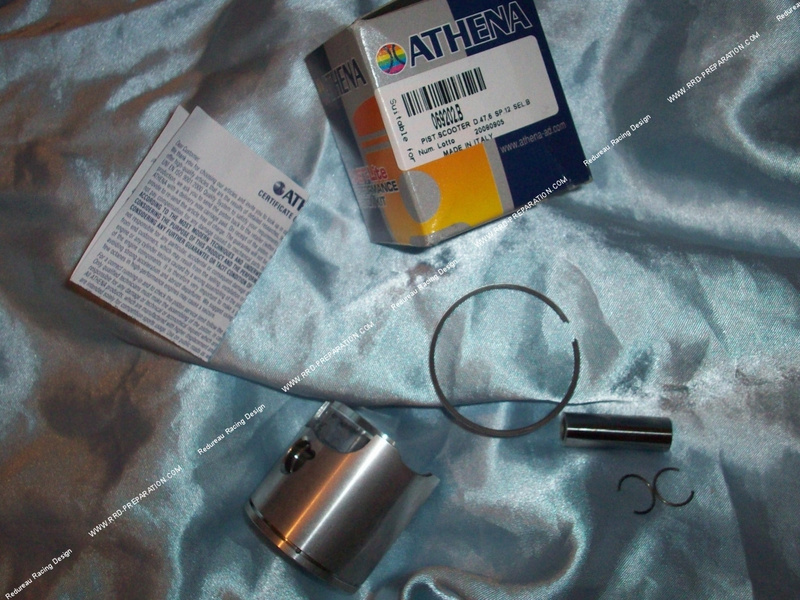 ATHENA piston reference 069202 in axis of Ø12mm mono segment for kits ATHENA 70cc sport or STAGE 6 sport, Ø47,6mm on PIAGGIO engine, MINARELLI scooter, minarelli AM6 ... Comes with segment d.47,6 X 1mm, axis Ø12mm and clips in C. Very high quality with high silicon content. Warning, do not mount on ATHENA racing / STAGE 6 racing kits that require a flat piston. Available wear sizes A, B, C and D, select before purchase.